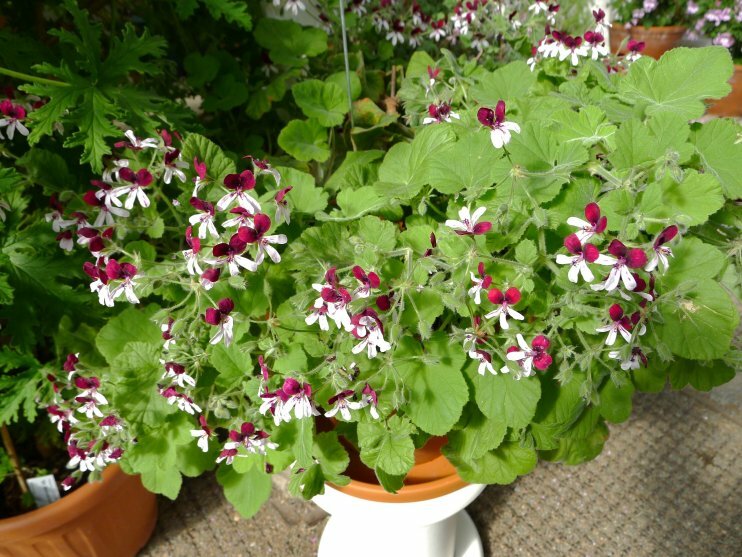 The 31 of March was a very special, happy day for many Pelargonium loving people in Sweden. 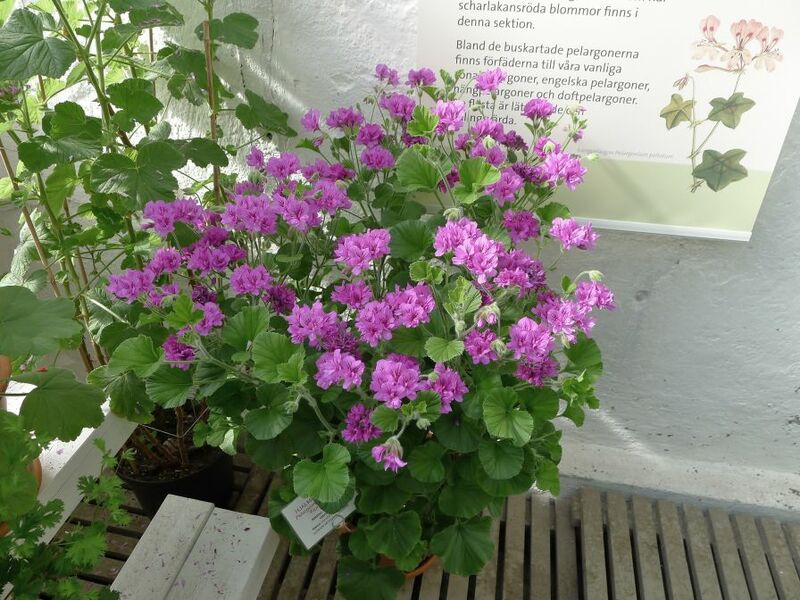 A new Pelargonium exhibition was opened at Bergianska Botanical Garden in Stockholm. 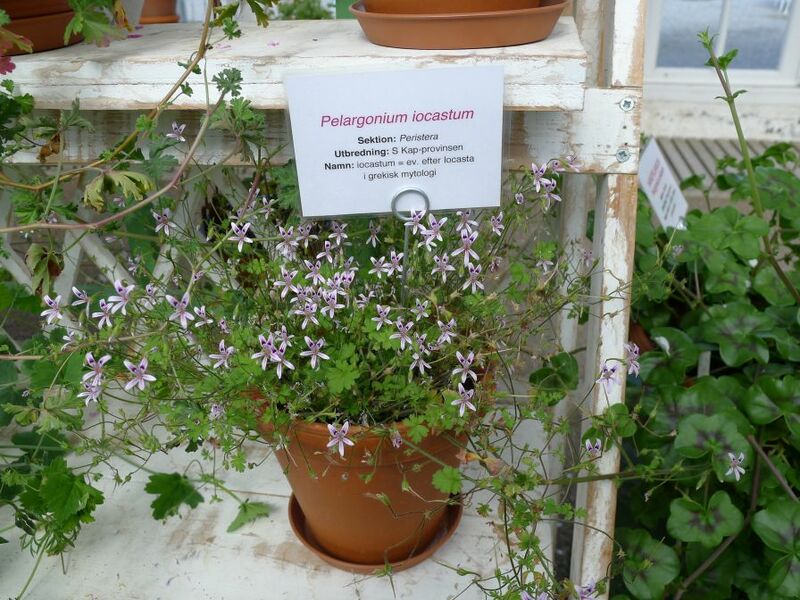 It wasn’t the first Pelargonium exhibition ever held in Sweden – there have been in fact a few Pelargonium exhibitions earlier in several places, also at the Bergianska Botanical Garden – but this exhibition is entirely devoted to Pelargonium species, and to some species hybrids, that’s why it was named Pelargonium 2012 – more wild then tame. 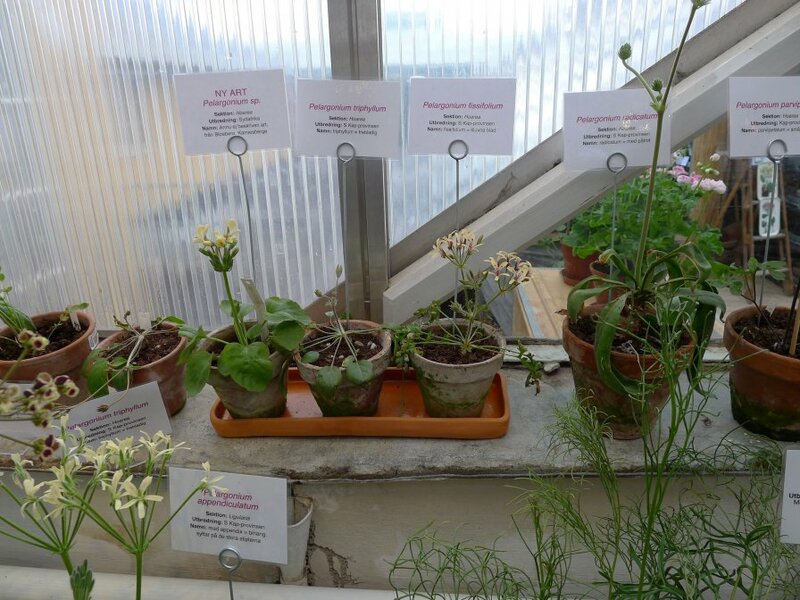 The exhibition was a collaboration between the Bergianska Botanical Garden in Stockholm, and ERA Garden, a Pelargonium nursery from Ekerö Sweden, specializing in Pelargonium species. 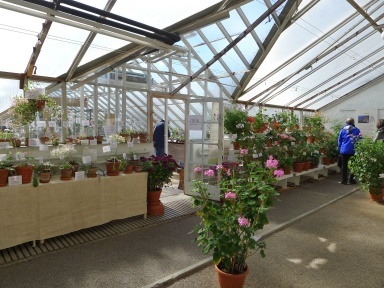 The plants are housed in an old and beautiful orangery building. I had the pleasure of visiting the exhibition two times already. 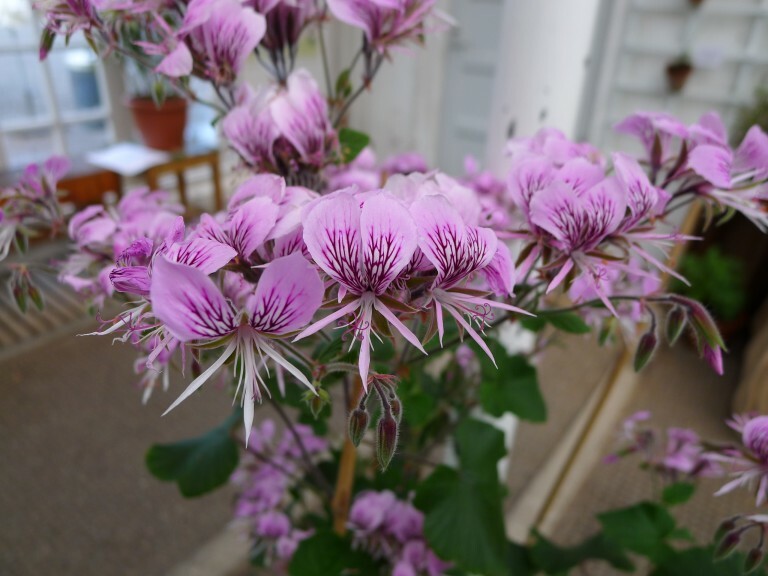 I tried to capture with my camera something of the diversity and richness of colors, forms and shapes within the Pelargonium genus. There are more than 150 different species, subspecies and hybrids showcased at the exhibition. 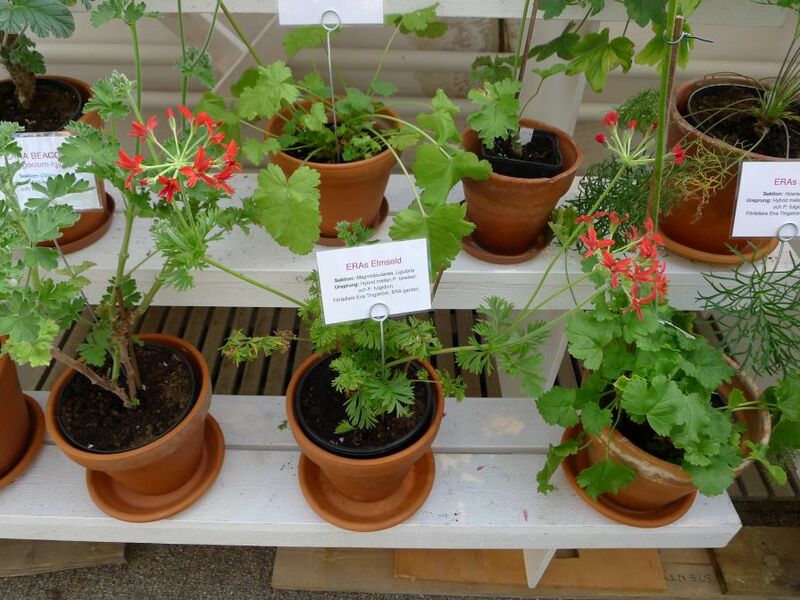 Most of the plants on display are grown by a Swedish member of the Geraniaceae Group, Eva Tingström, owner of the ERA Garden nursery, a Pelargonium enthusiast who after several years as collector and grower, made of her passion for Pelargoniums a way of living. 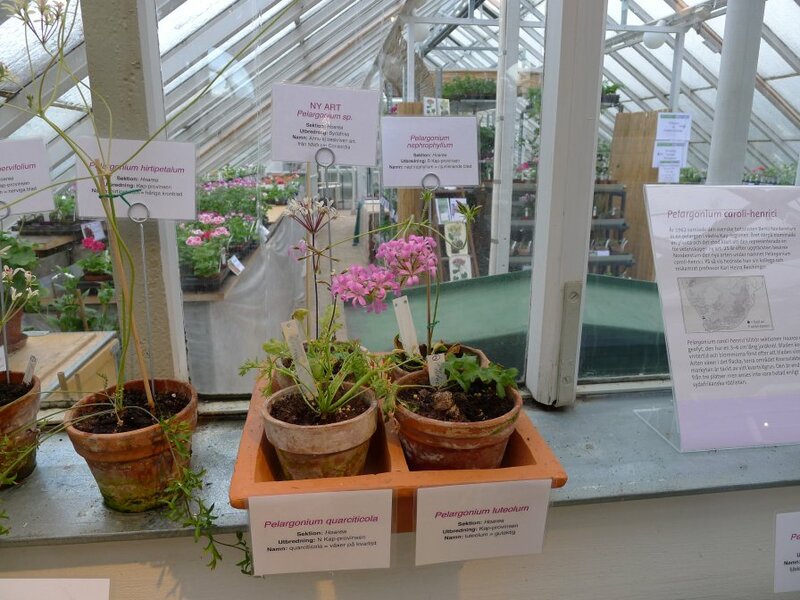 The plants are placed according to section affiliation, with information posters about each section, information about how the plants found their way from South Africa to the rest of the world, as well as information about the various habitats where Pelargonium species grow, and about some different areas of interest where Pelargoniums have a commercial value, such as within the perfume industry, and alternative medicine. 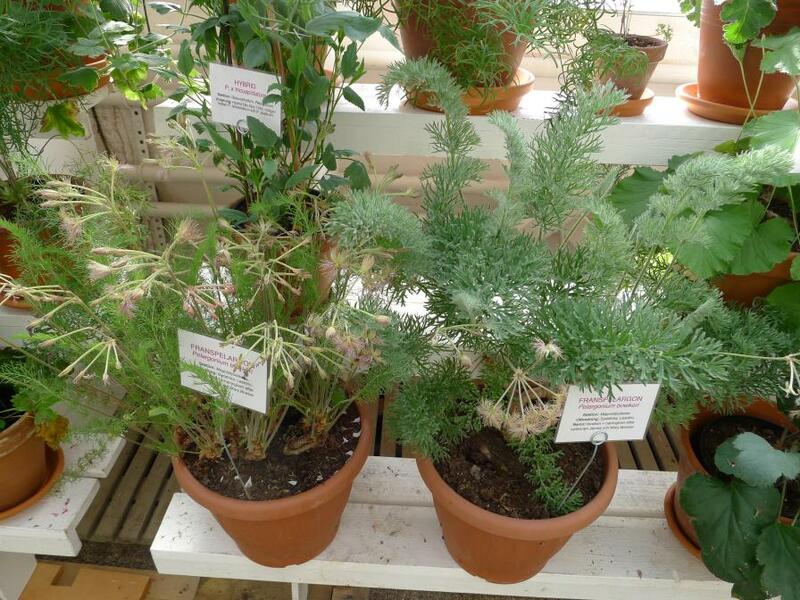 Every plant has an information label where name, section, and range of distribution are provided. 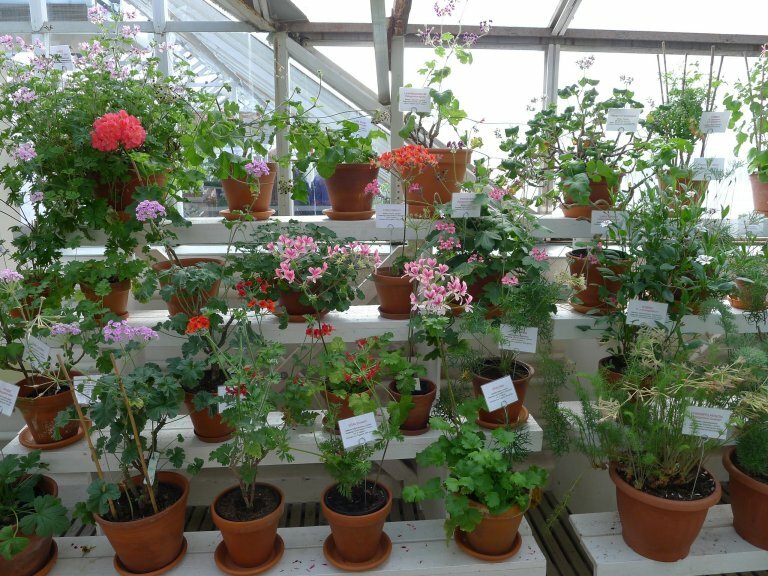 It is such a great pleasure to walk among so many well grown plants; visitors can see and learn about plants, from the tiniest geophytes in the Hoarea section, to the large, tree like shrubs in the Pelargonium section. 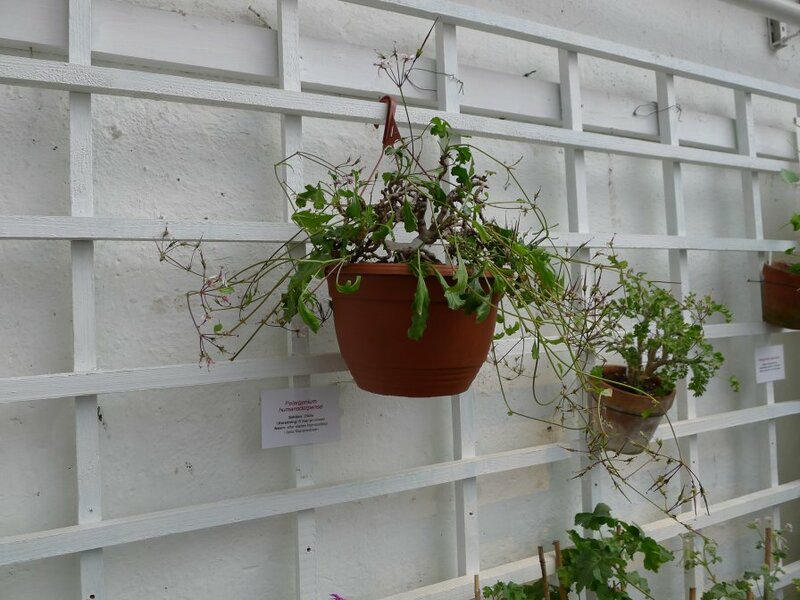 To be able to see so many different species all in one place, many of which are blooming, is a dream come true for every Pelargonium lover. 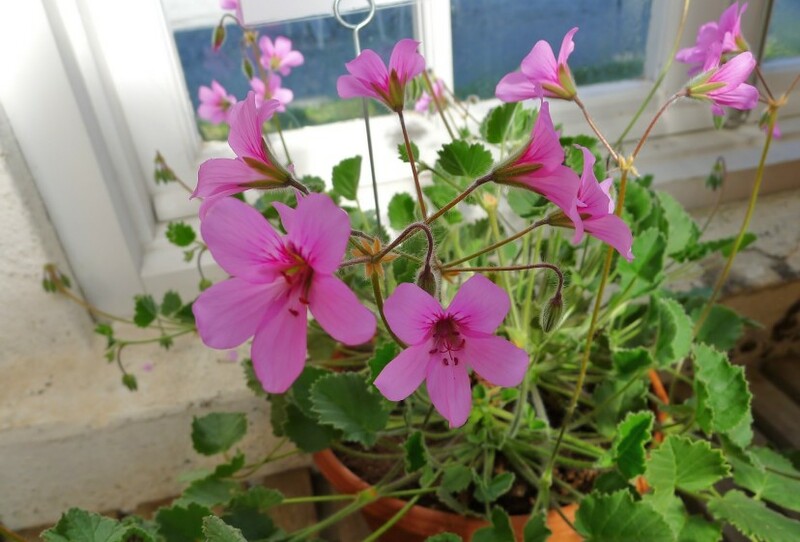 But I do believe that even those of you who tend to think that Pelargoniums are just so common that they are utterly boring, can not help but be amazed at the great diversity and beauty that the Pelargonium genus can offer. The exhibition is held till the 29 April, and it is open every day from 11:00 – 16:00.